Designed for the After Effects community. The Autodesk Motion FX app makes the most of new facial tracking technology. The official program for creating LEGO® models through computer-aided design. This program enables you to create home and office design plans. DAZ Studio is a free, feature rich 3D figure design and 3D animation tool. It provides robust 3D free-form design tools and powerful drafting capabilities. Powerful tool designed for making 3-d animations and short films. Construction plan generator to create 3D models in real life. Program to draw structured diagrams for Mac. Free "disk imaging" application for the Mac. Physically based and unbiased rendering engine. It is free 2D CAD software that lets you create, edit and view DWG files. This is a comprehensive SWF profiling tool designed for Flash game developers. ArchiCAD brings workflow solutions that help bridge requirements for BIM models. 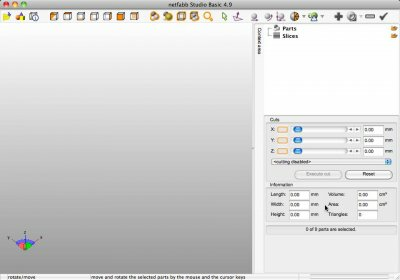 General purpose Open Source 3D CAD modeler. Papers is a nice application that allows you to download and organize papers.